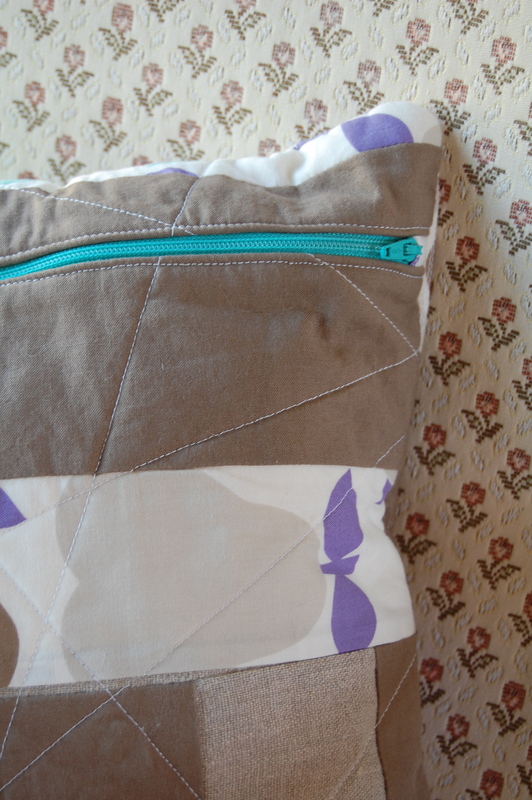 A few months back, I thought it might be fun to put together a little sewing machine cover. My daughters helped pick out some fabric, we measured the machine and I started sewing!! “Just dive right in”- that is often my motto. Well, that doesn’t always work so well. It was such a close fit, but just not quite wide enough. Live and learn! My machine doesn’t need a cover that badly anyway! I filed the unfinished piece in the “unidentified fabric object”-(UFO) pile and moved on to another project. 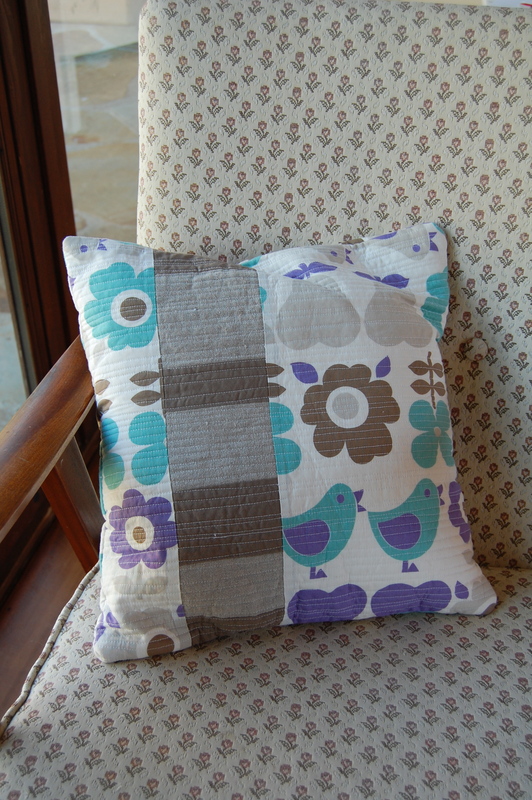 When I came across it again later, I thought how fun it would be to make a couple of quick little pillow covers out of it. 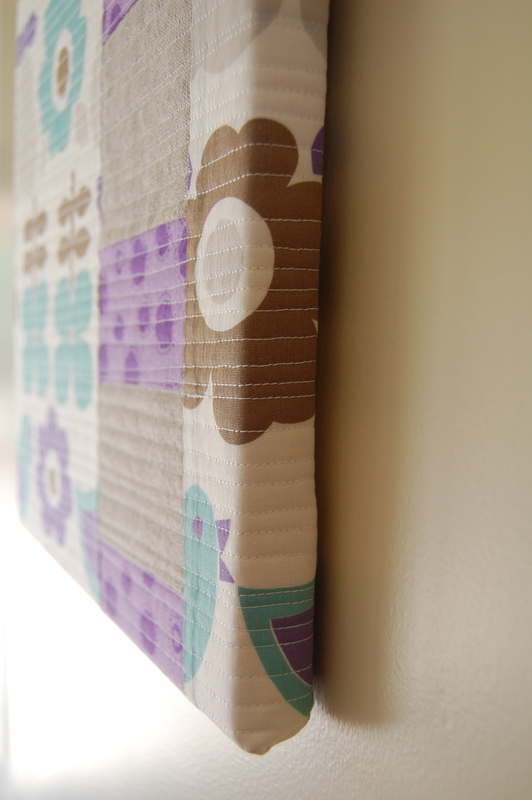 I love the little Kokka fabric so much, I didn’t want to just leave it sitting in a box. Unfortunately, it wasn’t big enough to make two pillow covers for the inserts I had. So I decided to make a wall hanging out of the other half. This canvas wrap method is something I’ve been wanting to experiment with for a while so I used this piece to practice. I really like how it turned out. A little fun and funky piece of room decor! I think the possibilities are pretty endless with this method. 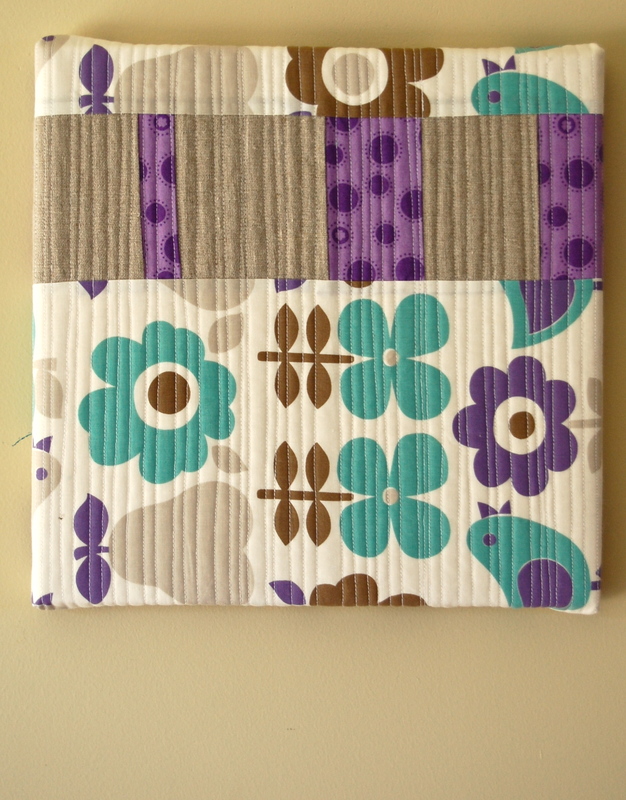 It a great way to showcase your small, wall hanging type of quilts or even just a few favorite blocks. 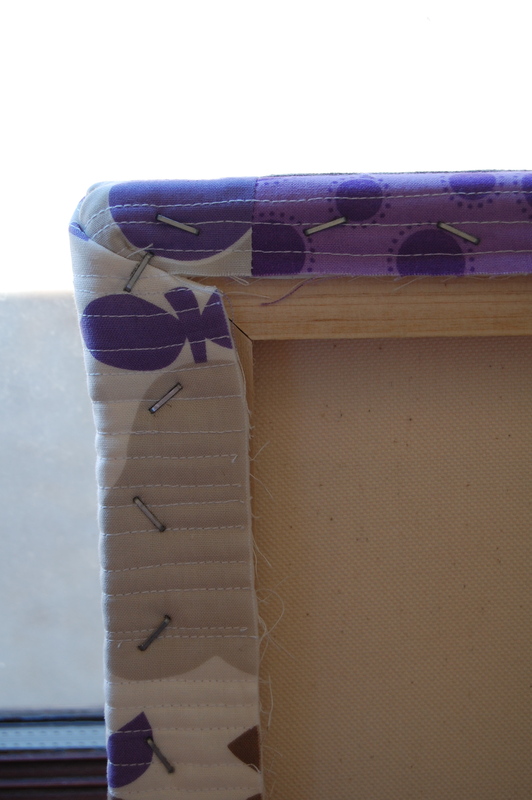 It’s as easy as wrapping your quilted piece around the correct size canvas (I had the ones with the canvas attached but you could also use the snap together frames without the canvas), and popping in a hefty bunch of staples with a staple gun(found at your local home improvement store). 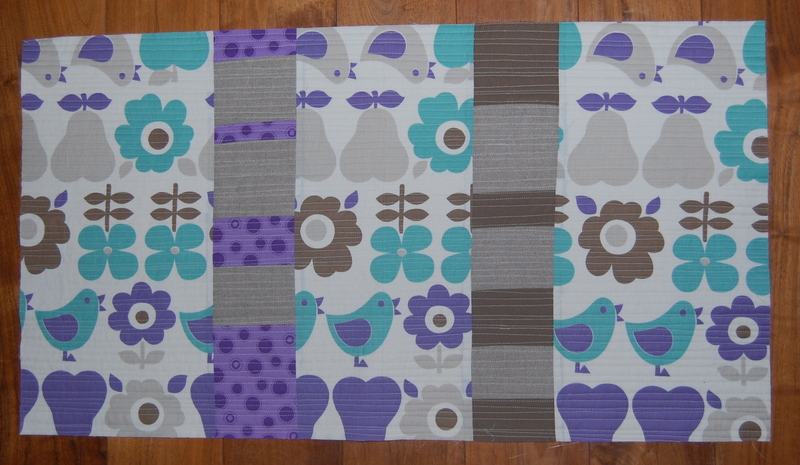 This method is some serious almost instant “quilty” gratification. 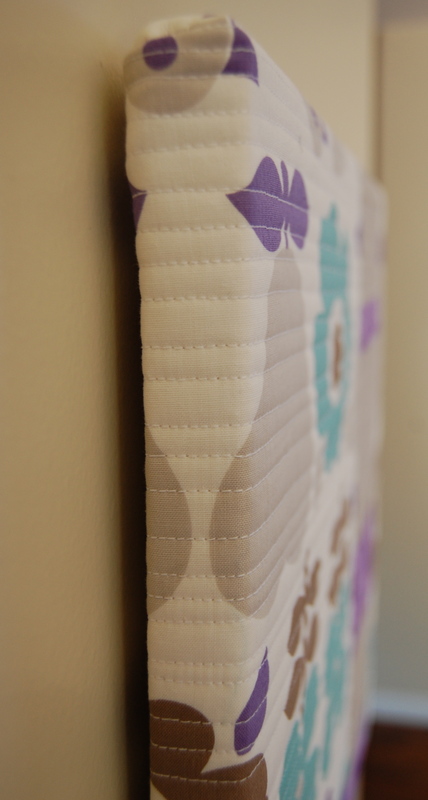 No binding necessary and you end up with a handmade piece of fabric art for your walls. Hope your week is full of inspiration! !